In addition to worries about the number of dead, As Sy told The Associated Press that the humanitarian needs are great. "They are nowhere near the scale and magnitude of the problem," As Sy said. "And I fear we will be seeing more in the weeks and months ahead, and we should brace ourselves." Thousands of people were making a grim voyage toward the city of Beira, which although 90 percent destroyed has become a center for frantic rescue efforts throughout the region. Some walked along roads carved away by the raging waters a week ago. Others, hundreds of them, were ferried in an extraordinary makeshift effort by local fishermen who plucked stranded people from small islands. "The situation is simply horrendous, there is no other way to describe it," As Sy said after touring transit camps for the growing number of displaced. "Three thousand people who are living in a school that has 15 classrooms and six, only six, toilets. You can imagine how much we are sitting on a water and sanitation ticking bomb." What moved him the most was the number of children without their parents, separated in the chaos or newly orphaned. "Yesterday (we) did a reconnaissance and we found another (inland) lake. So we are still very early in the phase of identifying what the scope of this is, for who is affected and how many are lost," Emma Batey, coordinator for the consortium of Oxfam, CARE and Save the Children, told the AP. Luckily, the area is a national park and less densely populated, she said. Still, "there were devastatingly small amounts of people." No one is still clinging to roofs and trees, she said. Pedro Matos, emergency coordinator for the World Food Program, said that what rescuers are seeing now is "sometimes it's just a hut completely surrounded by water." For residents of Beira, life staggered on. People salvaged the metal strips of roofs that had been peeled away like the skin of a fruit. Downed trees littered the streets. And yet there were flashes of life as it used to be. White wedding dresses stood pristine behind a shop window that hadn't shattered. 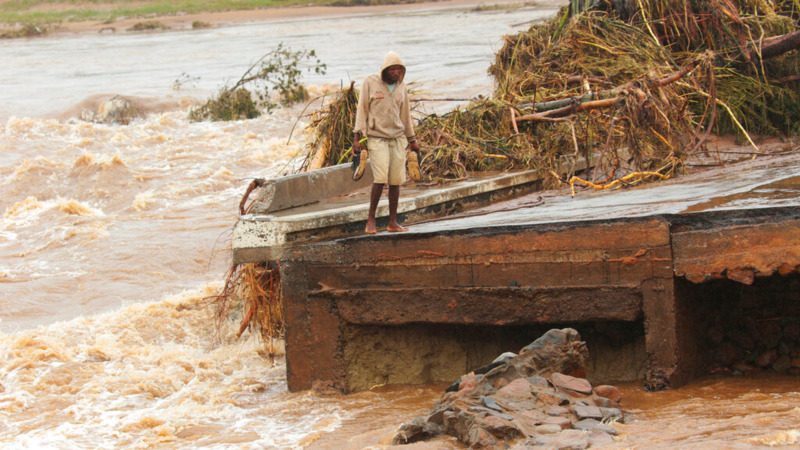 Zimbabwe was also affected by the cyclone and as roads began to clear and some basic communications were set up, a fuller picture of the extent of the damage there is beginning to emerge. 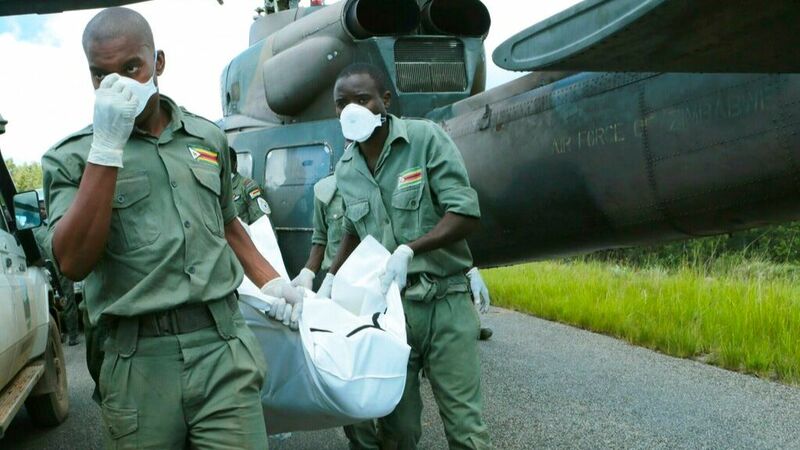 Zimbabwean President Emmerson Mnangagwa said Thursday that officers and prisoners were washed way. In Mutare, fear gripped residents even though they are more than 140 kilometers (85 miles) from Chimanimani, the worst-hit part of Zimbabwe. Maina Chisiriirwa, a city resident, said she buried her son-in-law, who had left the city to go to Chiadzwa diamond fields to mine illegally. "There are no jobs and all he wanted was to feed his family. He was with his colleagues. They thought it would be easier to mine since the rains would keep the guards and the police away from patrolling," Chisiriirwa said. His colleagues survived but her son-in-law was swept away, she said. 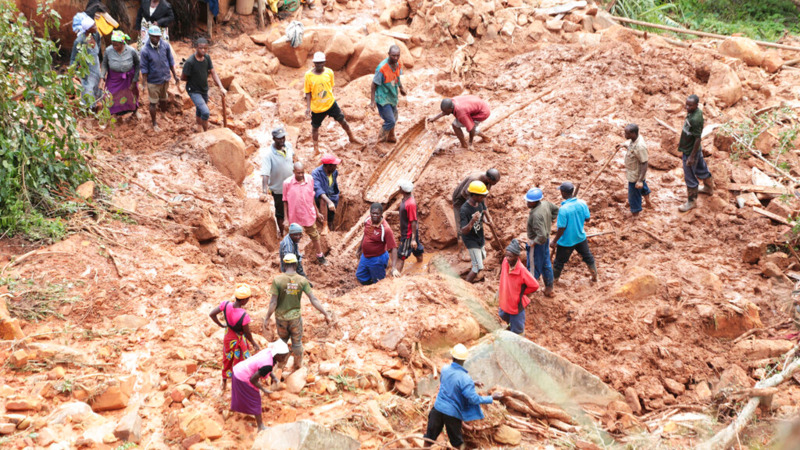 A man who traveled several kilometers (miles) to a reception center for survivors in Chimanimani said several of his colleagues were swept away as they tried to cross a river while fleeing from a mountain known for rich gold deposits and frequented by hordes of illegal miners. In downtown Beira, a sidewalk is Marta Ben's new home. The 30-year-old mother of five clutched a teary child to her hip as she described the sudden horror of the storm. She said she and neighbors in their home near the beach hurried their many children away but "we lost some of them." Hers survived. Now they claim a patch of sidewalk among others newly homeless. They beg passers-by for aid. They say they have received nothing from the government or aid groups, "not even bread." And yet she knows others have suffered more. She described seeing the ragged people who had been ferried by fishermen from communities outside the city. "They looked sad," she said. 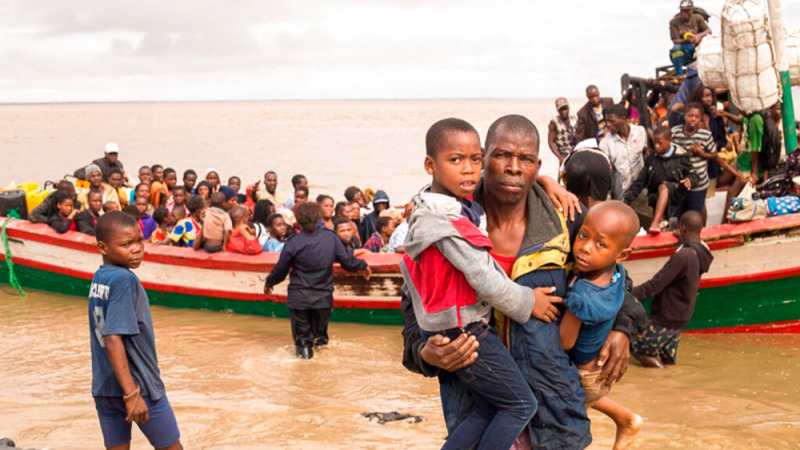 The survivors from inland Mozambique arrived by the boatload, some 50 at a time, mostly children, witnesses said. "Some were wounded. Some were bleeding. Some had feet white like flour for being in the water for so long," said Julia Castigo, who watched them arrive Friday morning. The 24-year-old said the cyclone came as a surprise to her, her husband and two children. It blew away the roof, the door, the windows. Water filled the home. She looked resigned. "We survived. We're still here," she said simply. "The people didn't even have clothes, nothing to cover them," said Ignacio Dango, who watched them arrive on the beach. The 24-year-old boat builder said he saw sick, wounded and very young. "Like 5 years old." They came from Buzi, he said. Residents of Beira muttered "Meu Dio!" ("My God" in Portuguese) as they went about the city and came across new scenes of destruction.